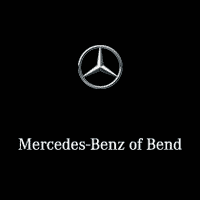 Get your tires serviced right the first time at Kendall Mercedes-Benz of Bend. Our expert technicians will install your tires, perform a maintenance check, and help you choose the right winter, all-weather, or summer tires for your vehicle. We also have many tire related services such as wheel alignments, tire & wheel balancing and tire pressure checks. Contact us today to schedule an appointment for a new set of tires, or a tire service at Kendall Mercedes-Benz of Bend.